Thank you for your interest in obtaining a Sale of Checks, Drafts or Money Orders License in Delaware. You may print the application and return to the Office of the State Bank Commissioner with the appropriate documents. 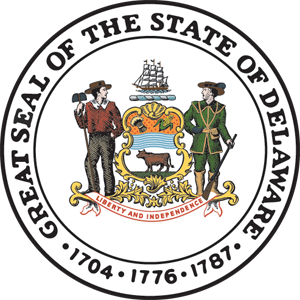 The Delaware Code is available to help answer any questions you may have. The following regulations may be obtained through the Registrar of Regulations site. 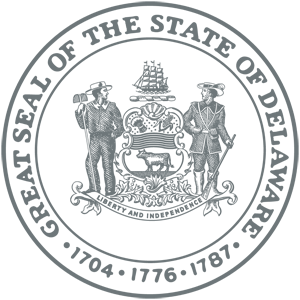 Section 144, Title 5 of the Delaware Code – limits the use of the words “savings” or “trust” in the names of non-depository institutions licensed under this Chapter. 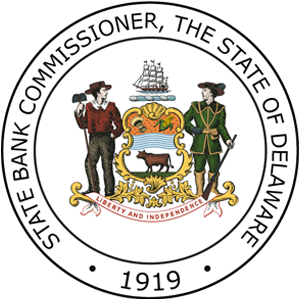 Section 102, Title 8 of the Delaware Code – limits the use of the word “bank” in the names of non-depository institutions licensed under this Chapter. All licensees under Chapter 23, Title 5 of the Delaware Code are considered money services businesses and must comply with the applicable requirements of the USA Patriot Act/Bank Secrecy Act. To obtain information regarding these requirements, go to http://www.fincen.gov/financial_institutions/msb/. This site provides information regarding who must report, how to report, what forms to use (forms are available directly from the site) and a continually updated list of registrations. More general information regarding the USA Patriot Act/Bank Secrecy Act is available through www.fincen.gov. Please contact our office to receive this information. If you have any questions, please contact Carole Hoffecker, Lead Investigator.